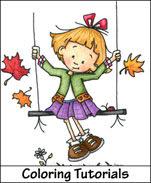 Sassy Cheryl's Digi Stamps Challenge Blog: Challenge #135 Let’s Think About Fall! A beautiful Tuesday to YOU! Are you enjoying gorgeous weather where you live? Here, in my neck of the woods, it’s just been fabulous and we’re starting to see hints of that Fall color! YAY! Thanks to all that played along in last week’s Inspiration Challenge! What fun to see how each of you saw and interpreted the inspiration photo! Now… who is the lucky person from #134?? Congratulations Suzanne! 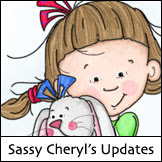 Just email Sassy Cheryl to make arrangements to receive your TWO FREE images from the Sassy Cheryl's Shop. Hope to see you play along again this week. Ok, now for this week’s challenge! Judy, the Sassy Pencil Queen, has chosen…. 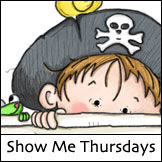 You'll have until 5 PM EST, October 8th to link your blog or photo to be entered in the random drawing. And as always, you don't have to use a Sassy Cheryl's image to play along, but we'd love it if you did. . . .and you INCREASE your chances of winning because your name will be put in the hat TWICE. CONGRATULATIONS Suzanne! What a fabulous card! I'll get your account credited this morning with the two free images. Hope to see you play along again this week. Ladies. . . .gorgeous, gorgeous cards and Judy, what a fabulous theme for this week. Love it! Hope it brings the fall weather with it. suzanne well done on your win . Congrats Suzanne I love the image you have used. Love these artistic creations Ladies. You always amaze me. 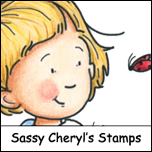 love how the design team used Sassy Cheryl images...great work! thanks for the "fall" challenge! Lovely cards from the DT team. Gorgeous inspiration from the DT! Thanks for letting me play! Fun challenge and great DT inspiration - as always! I'm getting a head start on my Thanksgiving cards. Thanks! Thank you for the fantastic inspirations!! And thank you for the great challenge!